Justin Murray, a concept artist who worked on Injustice: Gods Among Us, sent us some pics of his contribution to the game. But he didn't just send the art. He brought it to life. With cosplay. 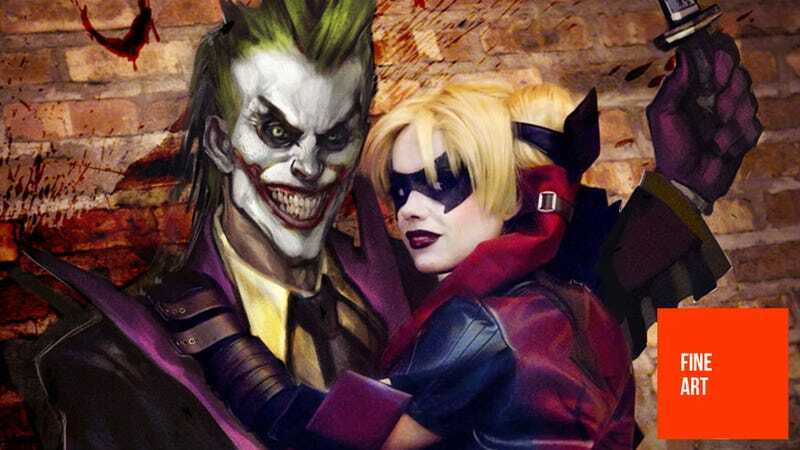 Teaming up with his girlfriend Jia Jem, Murray went down to the same Chicago locations they shot scenes from Chris Nolan's Batman movies, where photographer Kyle Johnsen captured Jem - in full Harley Quinn outfit, as per the game's designs - hanging out with Justin's concept art images. They're edited to blur the lines between the two worlds; at first glance it's got a bit of a Roger Rabbit thing going on, but the closer you look, the more you see Jia is becoming concept art at the same time. It's certainly...different, but I like it! There's only two of these composite images; the rest are Justin's "normal" work for the game. You can see plenty more at Justin's site.